Clear your thoughts and de-clutter your brain! Would you like to be able to think more clearly? To be able to focus on a task until it?s completed? This amazing audio recording will help you get your brain organized and keep it alert when you need it most. 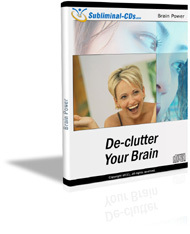 The De-clutter Your Brain audio session uses the latest in subliminal messaging technology to deliver thousands of stimulating, motivating, subliminal messages directly to your subconscious ? helping you work and think more clearly than ever before! And it?s 100% risk-free! If you?re not completely satisfied with your increased mental powers, let us know within 90 days and we?ll refund your order in full. Don?t settle for a dull and fuzzy brain! 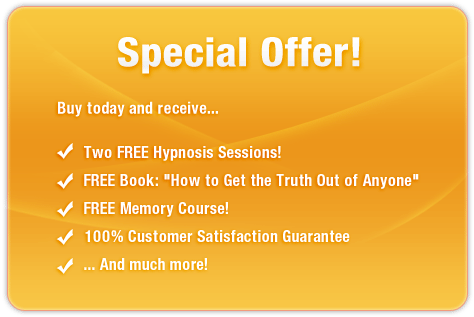 Purchase De-clutter Your Brain TODAY and enjoy clarity of thought straight away!